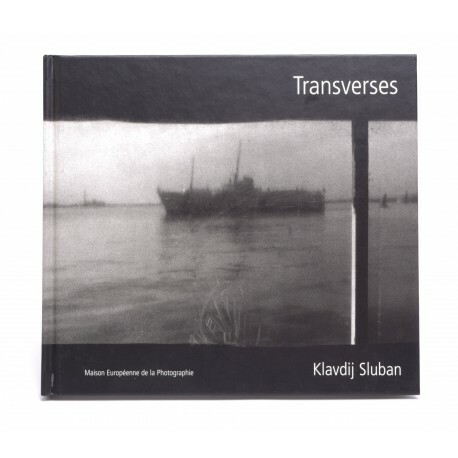 A form of travelogue, Transverses is one of the books that established Klavdij Sluban as one of the recent masters of Black & White photography. - A tiny scratch (2 mm) on the surface of the board, o the spine, on the back side, where the black surface is gone and the white underneath shows. 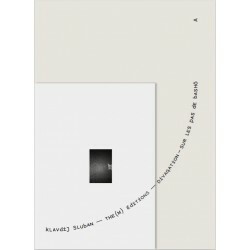 - The first white page that bears just the title in small print has a small dark trace of approx. 4 mm just below the prints... it seems more marks may have been there but were very cleanly removed, yet leaving a "glow" that is not noticeable at first but can be seen when you look closely or directly in the light. NB : This is not the title page, which is the next one, with title & artist name & other elements. 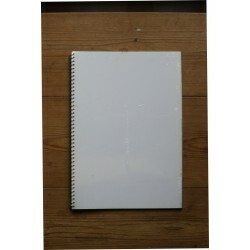 - There is a very slight yellowing of the pages' edges, approx. to the outer 5 mm. This is probably inherent to the book & paper itself and seen on most copies stored in similar (very good) conditions. - A little "blister" in the outer coating / lamination appears on 1 cm in the deep of the gutter of the binding, at the bottom of the front cover. This book was issued as the catalogue of an exhibition held at the Maison Européenne de la Photographie, Paris in 2002.